Fall apart (Short video) - Learning English is AS EASY AS PIE with Phrases, Idioms, Expressions. 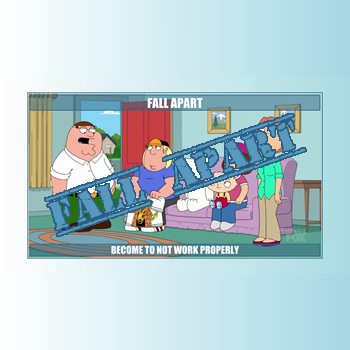 The phrase of the day is: "Fall apart"
Say "he falls apart" when somebody is emotionally in crisis. Say "it falls apart", when something disintegrates, or breaks into pieces.